Parity is a publication of the Victorian Council to Homeless Persons (CHP) and the national homelessness publication in Australia. 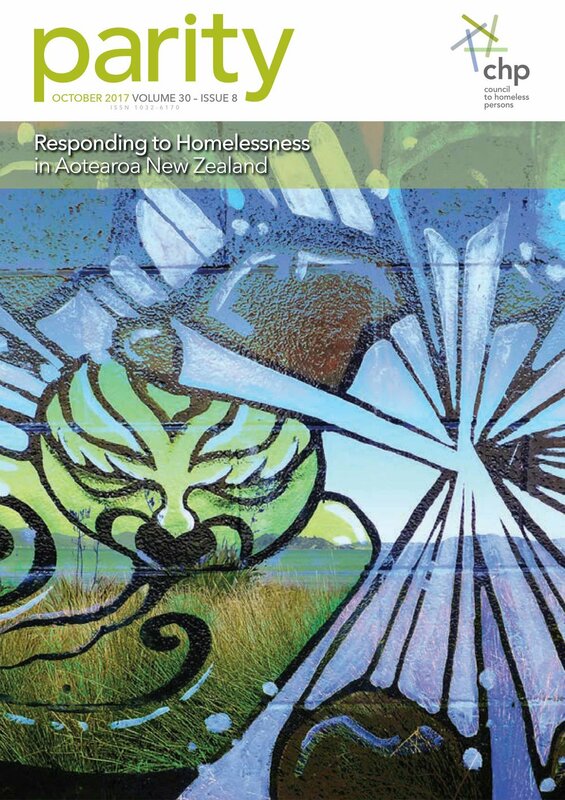 The aim of this publication is to develop an up-to-date, comprehensive and detailed resource for all those working to respond to homelessness in Aotearoa, whether they are working in government policy, homelessness, mainstream government services, social housing and other welfare sectors, in universities or other research bodies. The 2017 edition of Parity is intended as an update to the October 2007 “Responding to Homelessness in New Zealand” edition of Parity. The current edition is an opportunity to reflect on the past ten years. What have we learnt? How have we progressed? What new challenges have prevented themselves in the intervening years?